Friday, October 16th from 6:00 p.m. to 8:00 p.m.
Bring your friends, family, coworkers, etc. 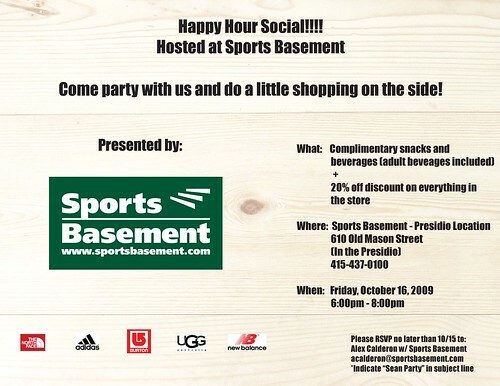 Sports Basement drew my name from a raffle and will be hosting a happy hour for “30 to 300” people. They will be providing the beer, wine, refreshments, and snacks. And they will be giving a 20% discount for anything purchased during that time. 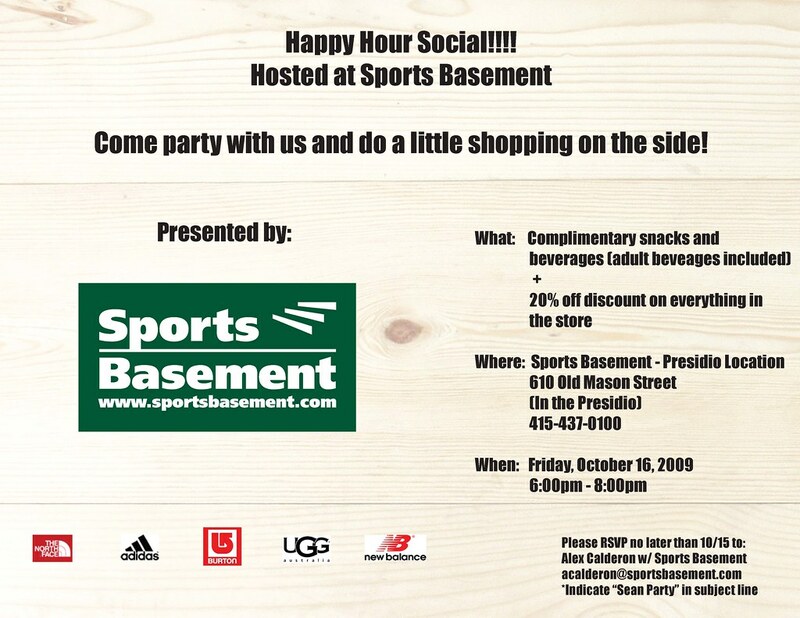 If you plan on coming, please RSVP so Sports Basement will know how many people to expect. There’s an invite more link from the following Evite. Add yourself and others that would enjoy the event. Hope to see you out there!